Take a look inside the cockpit of a SailGP F50 catamaran, and learn more about the roles of each athlete on board, courtesy of a highly qualified tour guide: Great Britain SailGP Team helm Dylan Fletcher. 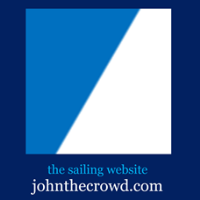 SailGP.com video above published Mar 21, 2019. SailGP is sailing redefined: established in 2018 and headquartered in London and San Francisco, SailGP is an annual, global sports championship featuring bold, cutting-edge technology and awe-inspiring athleticism. Next stop on the SailGP tour: San Francisco, May 4-5.